Licensure Examination for Teachers (LET) March 2015 Board Exam Results (List of Passers and Topnotchers) - Balita Boss! Licensure Examination for Teachers (LET) examinees took the exam in several testing center nationwide which includes Manila (NCR), Baguio, Cagayan De Oro, Cebu, Davao, Iloilo, Legazpi, Lucena, Pagadian, Tacloban, Tuguegarao, Catarman, Jolo Sulu, Bongao Tawi-tawi, Catanduanes, San Jose, Antique and Zamboanga. 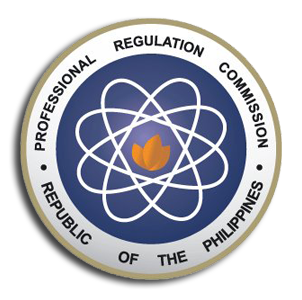 The PRC and the Board for Professional Teachers (BPT) announces that 12,103 elementary teachers out of 44,144 examinees (27.42%) and 17,904 secondary teachers out of 56,596 examinees (31.63%) successfully passed the Licensure Examination for Teachers (L.E.T.) given last March 29, 2015 in Singapore and 17 testing centers all over the Philippines. The Board for Professional Teachers who administered the March 2015 Licensure Examination for Teachers were Dr. Rosita L. Navarro, as Chairman; with members namely Dr. Paz I. Lucido, Dr. Paraluman R. Giron and Dr. Nora M. Uy. The exam covered the major areas such as English, Filipino, Mathematics, Science and Social Sciences subjects for General Education and teaching profession, social dimensions of education, principles of teaching, education technology, curriculum development, facilitating learning, child and adolescent development, assessment of student learning, developmental reading, field study and practice teaching for Professional Education. For the Secondary Teachers, the ten (10) specializations defends on their chosen course which include English, Filipino, Biological Sciences, Physical Sciences, Mathematics, Social Studies or Social Sciences, Values Education, MAPEH, Agriculture and Fishery Arts and TLE (Technology and Livelihood Education. In August 2014 Licensure Exam for Teachers, a total of 25,301 out of 70,786 successfully passed the Teacher Board Exam.